From skinny, boney, plump and smelly, to old and young and very very scary. 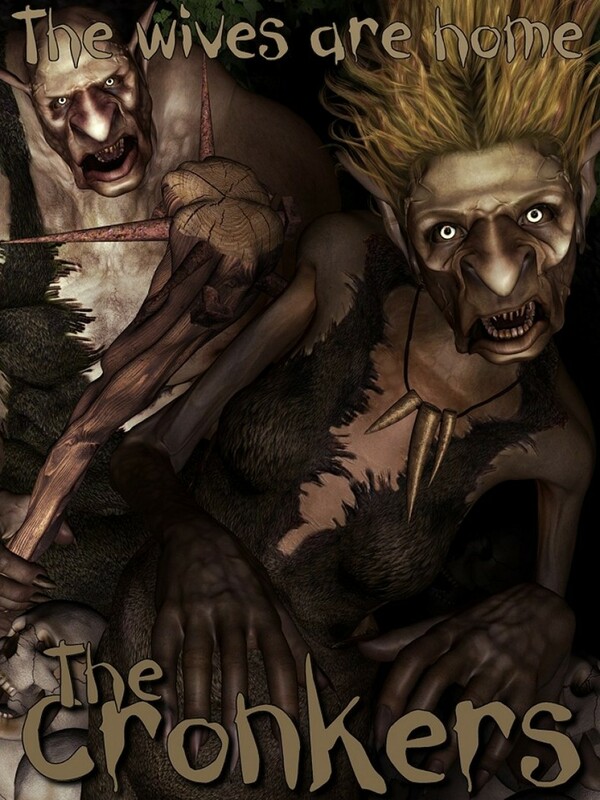 Meet these beauties quite fair of mischief and occasional maiming "The Cronkers"...Wives to the Gobblers, all Dwelling deep inside the mountain caves, rarely venturing outside, cept when the sun doth fall and the moon illuminates the land. Our Cronkers are a funny lot from Cruelmilde Smegarglez to Wooferella Dangleknockers and Gezzalotta Saggybutz and many many more strange named creatures. You can create your own characters by mix and matching the heads and bodies to give you the first and last names of your Cronkers. Many fun combinations can be created within this pack.